Timothy Geithner is mostly known for serving as the 75th US Secretary of the Treasury under Barack Obama, the President of United States. Formerly, he also worked for the Federal Reserve Bank as CEO, and took numerous significant decisions during the financial crisis of 2008. At present, he is serving as the president of a Wall Street private equity firm, Warburg Pincus. 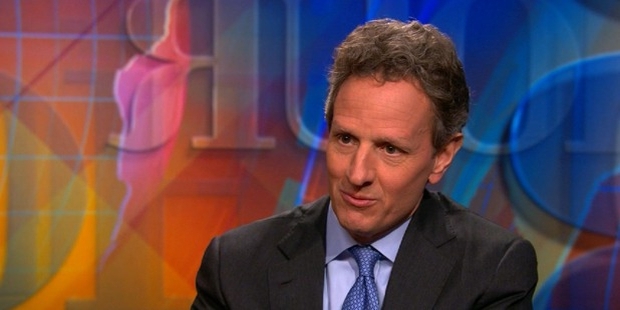 Geithner’s mother was a piano teacher and a pianist, and his father was an international development official in the US government. He traveled a lot in his childhood, including India, Thailand and Zimbabwe. He was passionate about photography from a very young age, and has a huge collection of black and white photos, especially of refugees. Continuing his interest in photography, Tim started his career as an event photographer in New Hampshire. During his college days, he also learned Japanese language, and served as a drill instructor for Chinese language. 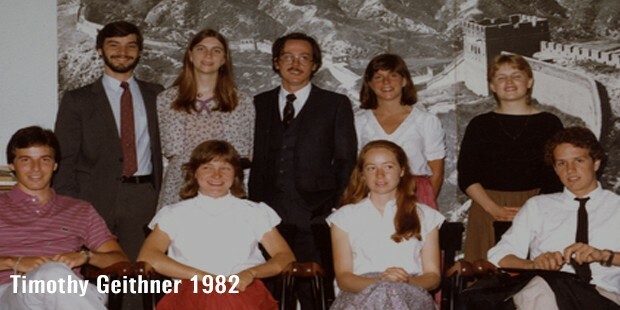 After graduation, he started working as a consultant at Kissinger & Associates, Washington DC. In 1988, he joined the Treasury Department of US Embassy in Tokyo as assistant financial attaché. In 1998, he became the first civil servant to work in the Under Secretary of International Affairs. In 2001, he moved to International Monetary Fund as the Director for Policy Development & Review Department. 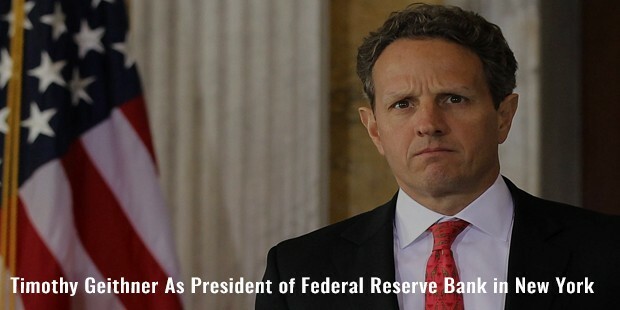 In 2003, he became the 9th CEO and president of Federal Reserve Bank in New York, and served as the permanent member and vice chairman for Federal Open Market Committee. In 2008, Barack Obama nominated him to become the Secretary of the Treasury of his cabinet, the offer which he proudly accepted. During his service, he endured a number of economic calamities, including the European debt crisis of 2011. 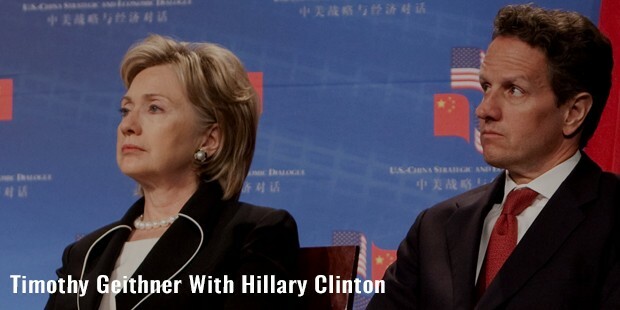 He left the treasury in January 2013, and in 2014, he joined Warburg Pincus as a managing director and president. Timothy is widely known for his out-of-the-box thinking, and extraordinary ways to solve economics related problems. With his expertise and experience, he has worked out a number of issues in the US Treasury, and is now continuing his career in a private equity firm. 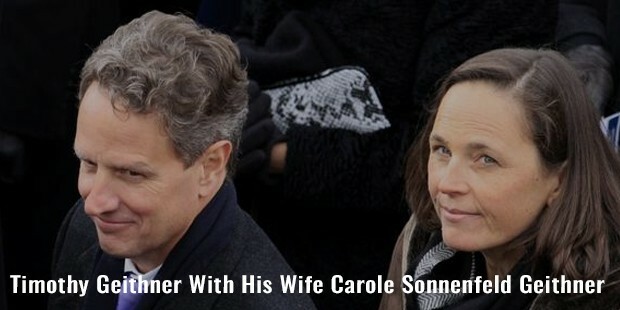 After earning a Master’s degree in International Economics & East Asian Studies in the year 1985, he married Carole Marie Sonnenfeld, his college friend. At that time, she was working for Common Cause as a research associate, which is a public affairs lobbying group. Today, they have two children, Benjamin and Elise. After leaving the Treasury in 2013, he wrote ‘Stress Test: Reflections on Financial Crises’, as a memoir of his service in the Treasury as a Secretary. This book was published in 2014. 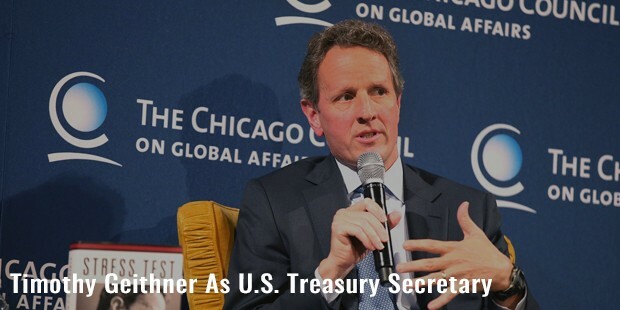 Timothy Geithner is an economic expert, and has contributed immensely to take out his country from the depth of financial crisis.